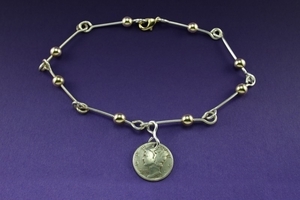 This anklet is one of our best selling items. The wings on the Mercury Dime represent freedom of thought. It is also made out of durable silver wire and can be worn all the time.